eminent German botanist Herr F. Muller. 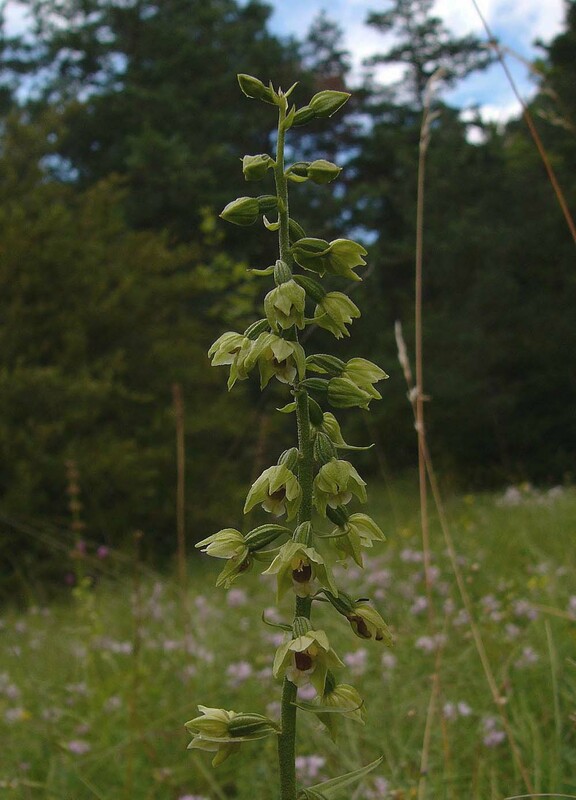 It is commonly called the Mueller's Helleborine. This is a central European species which ranges from Belgium through to the former Czechoslovakia in the east. It was once thought to be present in Britain and specifically in the north east of England but recent studies (although unpublished at the time of writing) seem to point to the fact that neither the Lindisfarne or Tyneside populations are at all closely related to E. muelleri. E. muelleri bears a strong resemblance to the British endemic E. dunensis and indeed the differences are very small, involving slight divergence in epichile dimensions and anther attachment. 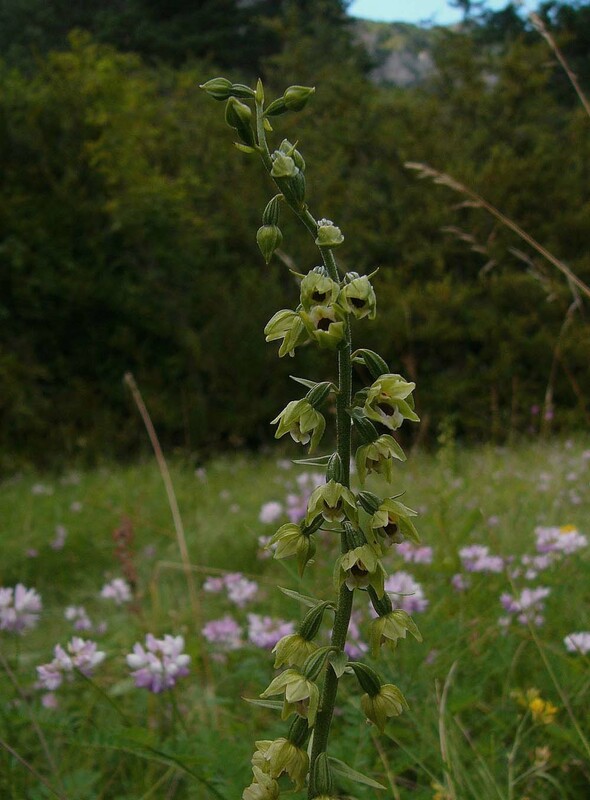 As with E. dunensis the flowers of this species rarely open fully and tend therefore to form a forward pointing cup shape. They are also similar to E. dunensis in that they do nor carry any red colouration, being uniformly greenish white. 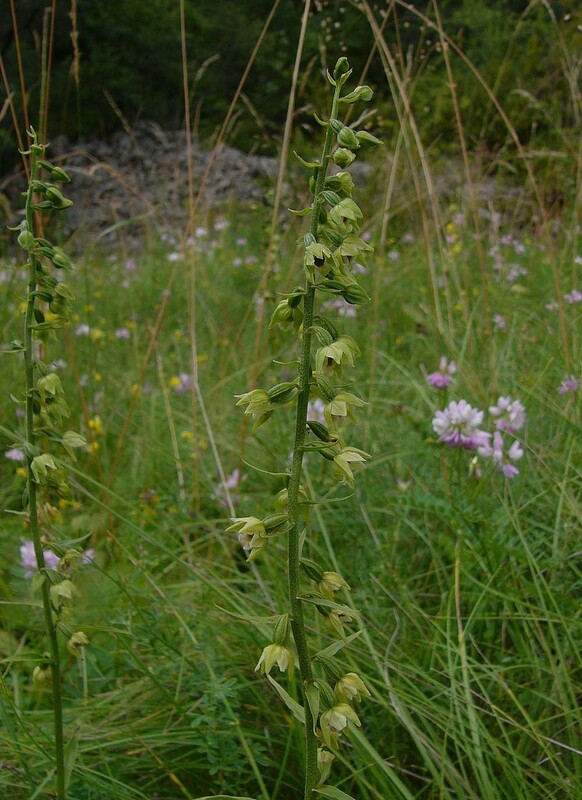 A further distinguishing characteristic of E. muelleri is the hypochile colouration which tends to be rather more reddish than the brown of E. helleborine with which it often associates. Unfortunately this feature is not well conveyed in the accompanying photographs due to the fact that a rain storm had saturated the flowers to a point that together with extremely dull overhead conditions the camera was unable to pick up any redness. 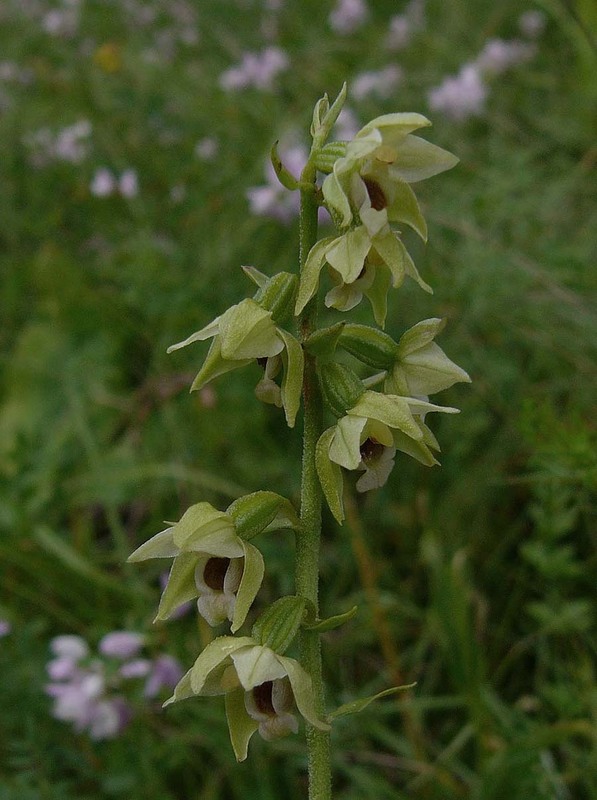 For a member of the Epipactis genus, E. muelleri is a relatively early species and can be in flower by mid June. 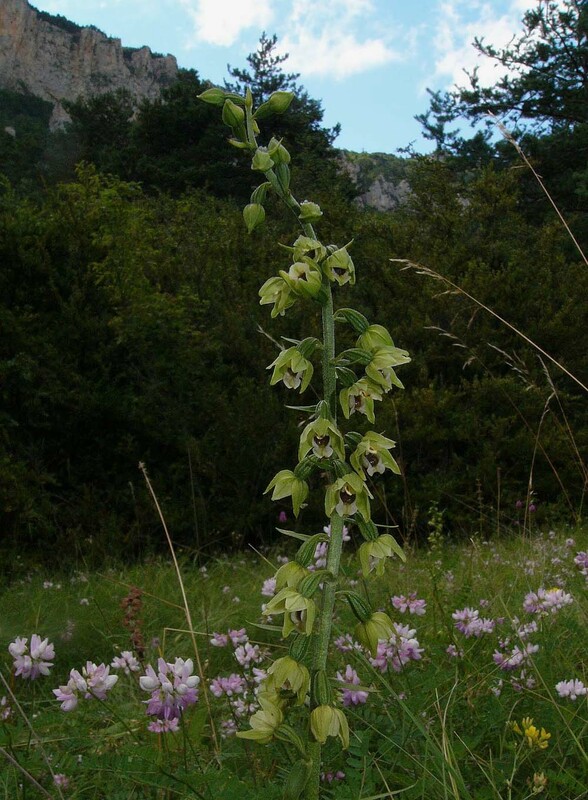 The pictures here date from the second week of July and come from the Vercors region of southern France.